On Sunday I showed a little bit of the colour work for the Exploring Colour workshop. Here's a little peek at what we'll be doing on Friday. 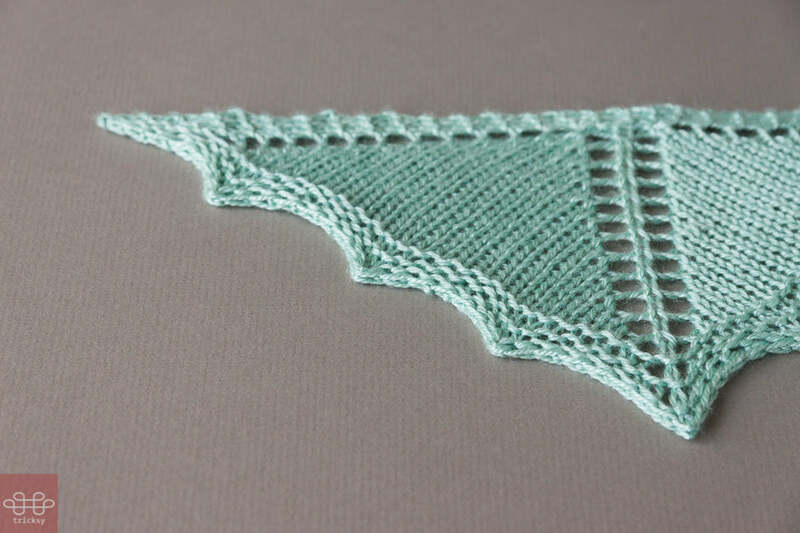 Friday's class is about unlocking the top down triangular shawl. It's one of my favourite constructions. So simple. So easy to work. And anything that starts with "cast on 3" is a winner. Once you have the recipe down, you never need to look at it again. And you can go super ornate, or plain stripes, and it's beautiful. 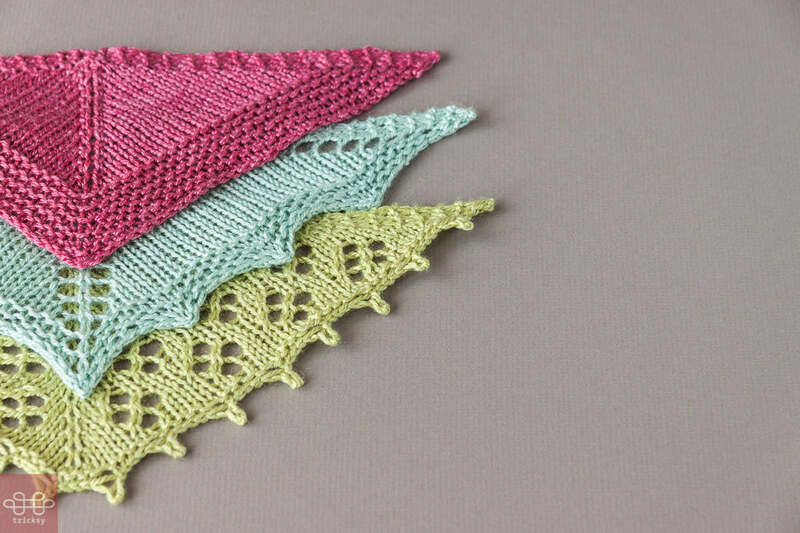 A triangular shawl is also a fantastic use for hand-dyed yarn. The ever-lengthening rows naturally break up colour variation, meaning minimal pooling and striping. We'll be looking at three different starts, three different increase methods, and three different methods. And we'll try it hands on with these mini shawls. We will also look at designing your own. And everyone can choose a pattern to take home: Fledge or Arimono. And, a few of the Sweatermaker Yarns will be for sale at the retreat, so you can meet them in person. 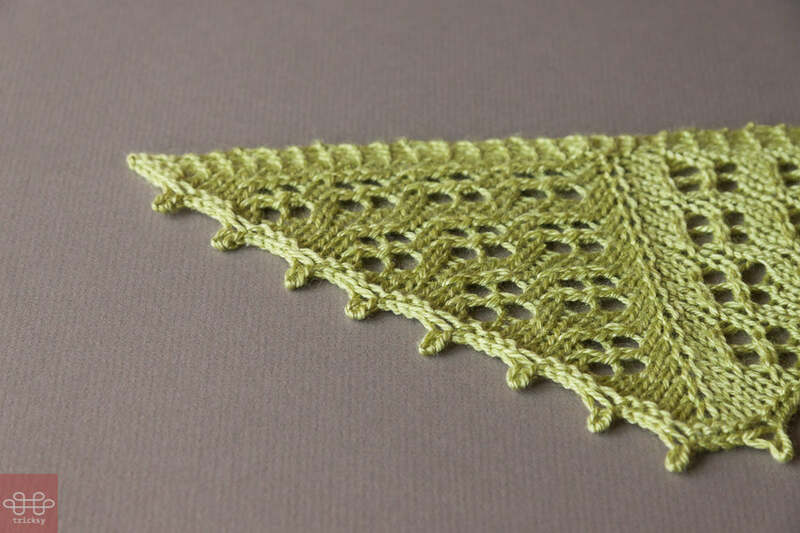 Are you tempted to join us in Southampton for a knitting retreat? Contact Karen at the Grey Heron, 705-444-0370 , or email (greyheron@bellnet.ca)!